MISBEHAVING BODY SCRUB | Exfoliating + Brightening + Resurfacing Acne Sugar Scrub | Cleanse + Exfoliate + Moisturize + Organic Cane Sugar gently exfoliates while it melts and draws moisture into your skin. Organic Oils and Essential Oil Blend helps reduce breakouts and ingrown hairs. This is also really great for post-acne scarring on the back and chest. I make both a face and body version of the Misbehaving Skin Scrub. The Body version has larger size sugar for more exfoliation. This contains over 2 oz of my best-selling serum, an over $65 value! This is essentially oil cleansing for your body. If you haven't tried the face version or oil cleansers, check them out! Especially if you struggle with excess oil or dryness, as both are indicative of a stripped skin barrier. Both scrubs are designed to clean skin without stripping or need for soap, moisturize, and address congested pores + redness + ingrown hairs + breakouts. If you get ingrown hairs, eczema, psoriasis, dry skin, breakouts, or any kind of misbehaving skin; using this 2 times a week is a must! AHA + BHA from Organic Willow Bark + fruits helps slough off dead skin, unclog pores, and leave skin looking brighter and clearer. Organic Sea Buckthorn and Essential Oils address issues of inflammation and much more. This is my favorite body scrub! It is basically an all over serum for acne-prone skin along with exfoliation. After massaging into skin, you rinse and are left with a lightly moisturizing serum on your skin. I use this two or three times a week. I happen to love sugar scrubs, and very seldom actually use soap in the shower. Don't look at me like that, much like oil cleansing your face, a truly natural sugar scrub made with the right oils cleans + exfoliates + moisturizes in one step. 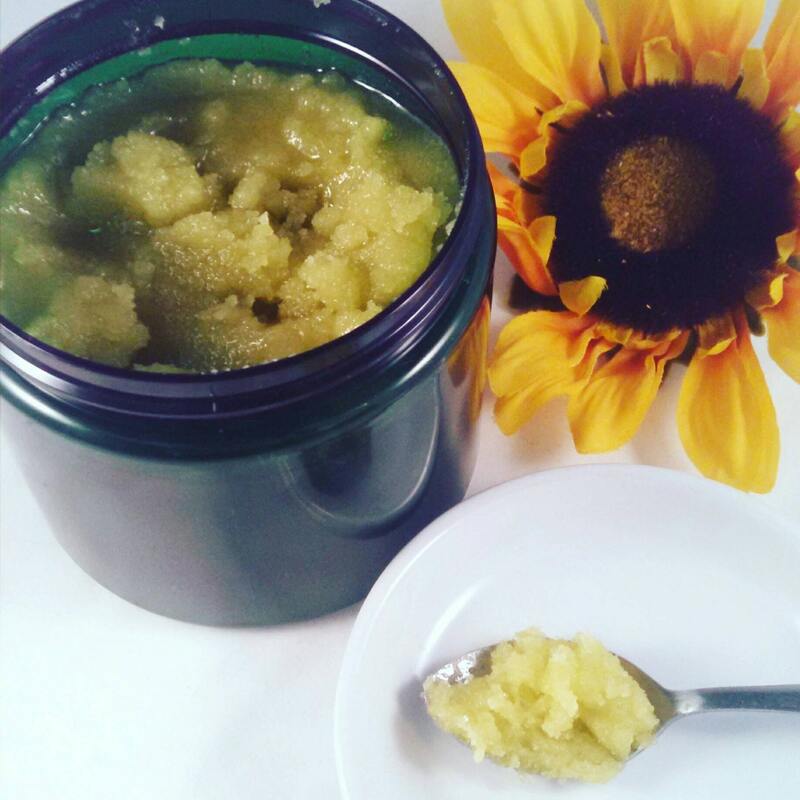 This scrub is made with my special Anti-Acne Essential Oil Blend. Fast absorbing and light oils are used in this formula, great for all skin types, and the oil that remains after rinsing acts as a light + nourishing body oil. Organic Cane Sugar gently exfoliates and moisturizes as it dissolves. Sugar scrubs are great for sensitive skin. Salt can actually clog pores and sting when you have open breakouts. Organic Sunflower Oil + Organic Hemp Seed Oil gently moisturize and act like a nourishing body serum after you rinse. Essential Oils offer aroma-therapeutic as well as benefits for your skin. Beta Hydroxy Acids help decongest pores and prevent future breakouts with regular use. Willow Bark acts like a natural salicylic acid, but without the irritation. Massage into damp skin as the last step in your shower routine, rinse, and pat dry. **When using products with AHA your skin is more susceptible to sun damage, while (in my opinion) you should be wearing SPF every day to protect your skin, be especially diligent after applying an AHA product.